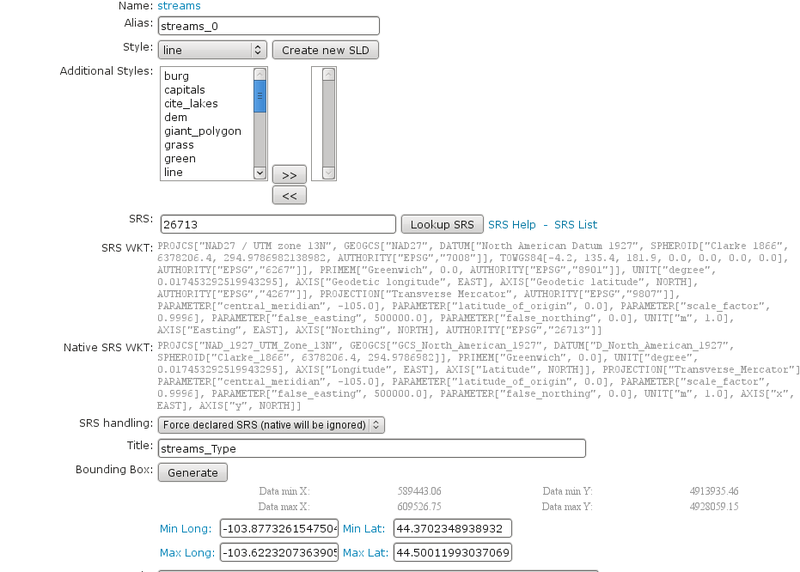 This tutorial shows how to use the geotools feature-pregeneralized module in GeoServer. The feature-pregeneralized module is used to improve performance and lower memory usage and IO traffic. Vector generalization reduces the number of vertices of a geometry for a given purpose. It makes no sense drawing a polygon with 500000 vertices on a screen. A much smaller number of vertices is enough to draw a topological correct picture of the polygon. This module needs features with already generalized geometries, selecting the best fit geometry on demand. 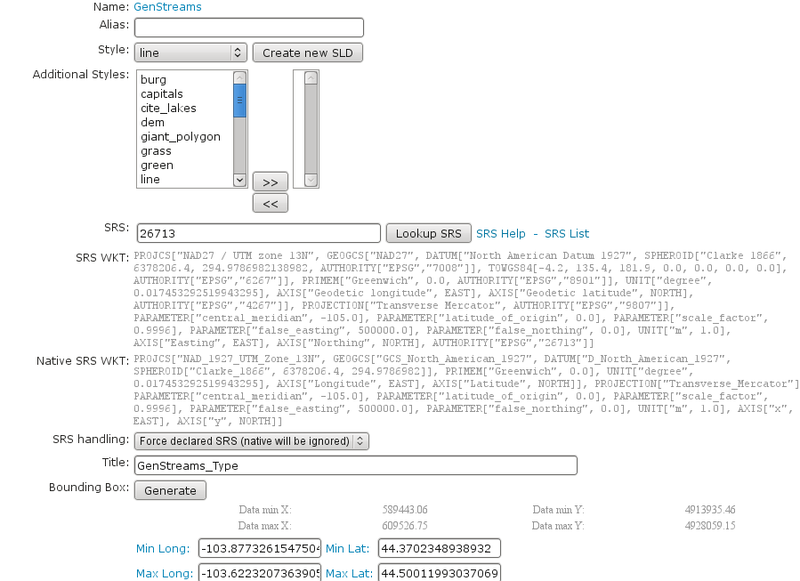 This tutorial will show two possible scenarios, explaining step by step what to do for using this module in GeoServer. Within this directory, we have to place the shape files. There is already a sub directory data which will be used. Within this sub directory, create a directory streams. 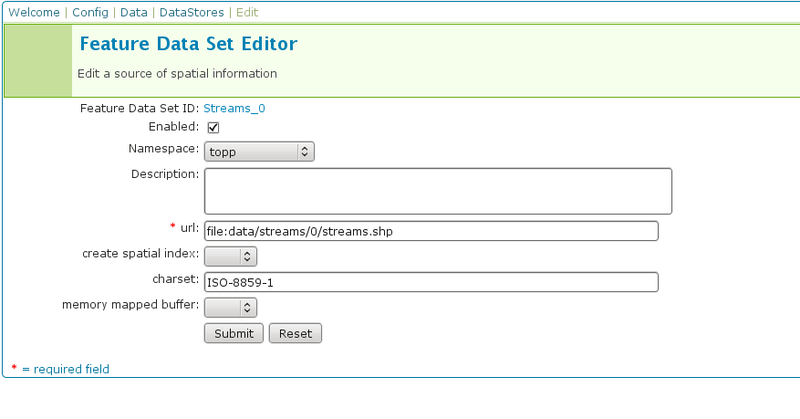 Within GEOSERVER_DATA_DIR/data/streams create another sub directory called 0. ( 0 meaning “no generalized geometries”). This tutorial is based on on a shape file, which you can download from here Streams. Unzip this file into GEOSERVER_DATA_DIR/data/streams/0. Now there are four additional directories 5.0 , 10.0 , 20.0 , 50.0 . Look at the size of files with the extension shp within these directories, increasing the generalization distance reduces the file size. The generalized geometries can be stored in additional properties of a feature or the features can be duplicated. Mixed variations are also possible. Since we are working with shape files we have to duplicate the features. There are two possibilities how we can deploy our generalized shape files. 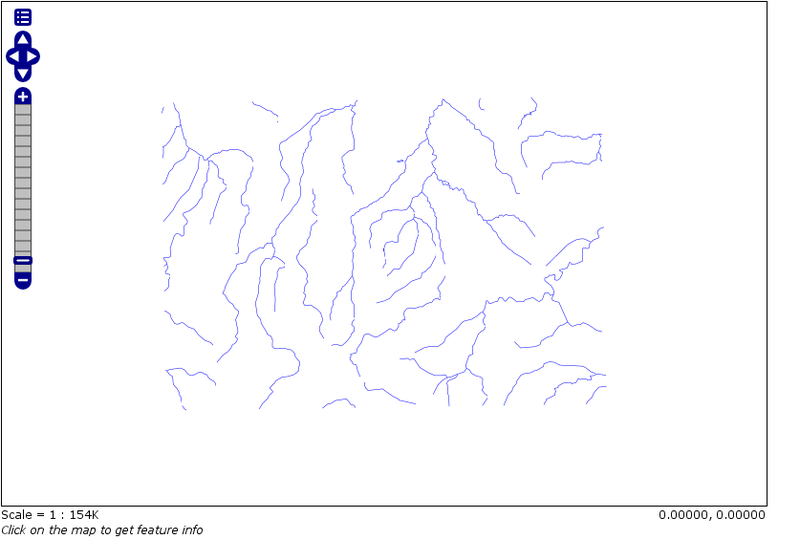 Save this file as geninfo_shapefile.xml into GEOSERVER_DATA_DIR/data/streams. The dataSourceName attribute in the XML config is not interpreted as a name, it could be the URL for a shape file or for a property file containing properties for data store creation (e. g. jdbc connect parameters). Remember, this is a hidden deployment and no names are needed. The only official name is the value of the attribute featureName in the GeneralizationInfo Element. RepositoryClassName and GeneralizationInfosProviderClassName have default values which suit for GeoTools, not for GeoServer. Change GeoTools to GeoServer in the package names to instantiate the correct objects for GeoServer. GeneralizationInfosProviderParam could be an URL or a datastore from the GeoServer catalog. A datastore is referenced by using workspacename:datastorename. This makes sense if you have your own implementation for the GeneralizationInfosProvider interface and this implementation reads the infos from a database. Press Submit, afterward a form for the feature type opens. Alter the Style to line, SRS is 26713 and press the Generate button labeled by Bounding Box. Afterward, press Submit, Apply and Save. Check the result by pressing My GeoServer, Demo and Map Preview. You should see your additional layers. 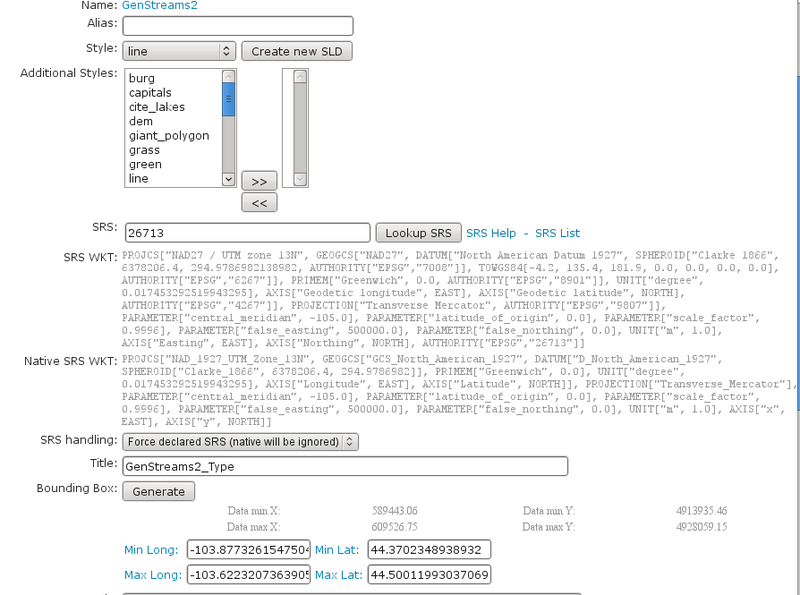 Save this file as geninfo_shapefile2.xml into GEOSERVER_DATA_DIR/data/streams. This is only a very simple example using shape files. The plugin architecture allows you to get your data and generalizations from anywhere. The used dataset is a very small one, so you will not feel a big difference in response time. Having big geometries (in the sense of many vertices) and creating maps with some different layers will show the difference.